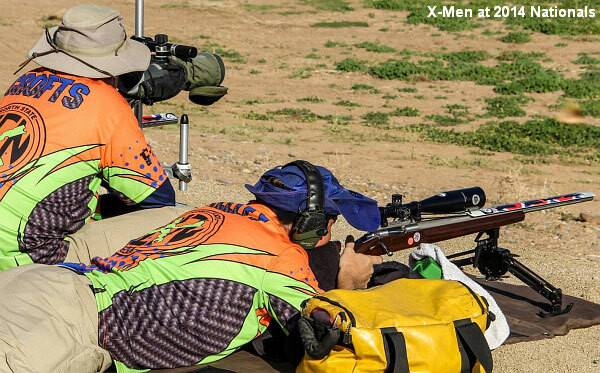 Want to see how some of the best rifle shooters in the world operate in high-stakes, 1000-yard competition? 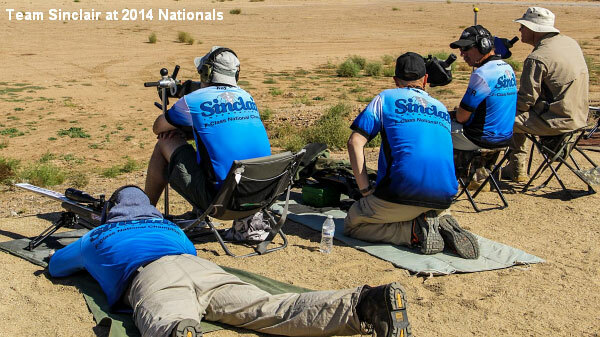 This video shows Team Sinclair powering to victory at the 2014 F-Class National Championships in Phoenix. 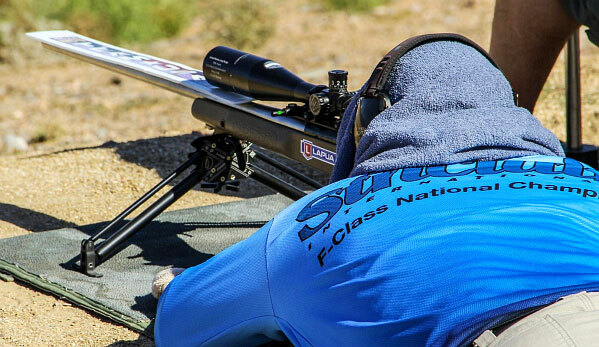 Scoring an impressive 792-38X, Team Sinclair topped the field, winning the 4-man team title and setting a new 1000-yard F-TR National Team Record in the process. It was a close match, with America’s “powerhouse” F-TR teams battling it out for the top three spots: Team Sinclair (Gold), Team X-Men (Silver), and Team Michigan (Bronze). Team Sinclair’s wind coach Ray Gross did a superb job. Ray also serves as the Captain of the USA F-TR Rifle Team. Along with the Team Sinclair shooters, this video also features Team X-Men (orange shirts), and Team Michigan. Starting at the 2:05 time-mark, you can hear Bryan Litz calling wind for Team Michigan. Watch the mirage in the video and see if you can match Bryan’s wind calls with the movement of the mirage. This is a great opportunity to see F-TR Top Guns in action. Team score cards appear in the video, starting at the 3:01 time-mark. Warning — Video starts with loud rock music. You may want to turn down your speakers if at work. Thanks to Paul Phillips for editing and uploading this video. Photos courtesy Nightforce Optics. Share the post "F-TR Triumph — Team Sinclair’s Record-Breaking Performance"
Would you like a target-cam system that fits in a single, compact weatherproof container, sets up quickly without tripods or external antennas, and works with smartphones, iPads, Android tablets, and Windows laptops? Well then you would like the brand new Bullseye AmmoCam Sight-In, a self-contained target-cam system in a sturdy plastic box resembling a classic military ammo can. Simply set the unit downrange, flip the “on” switch, and start shooting. The whole system weighs just 5 pounds. The manufacturer offers a 30-day unconditional money-back guarantee. The $349.00 wireless Bullseye AmmoCam is a stand-alone video camera/transmitter that works out to 300 yards. The built-in software identifies and flashes your last shot on the display — that’s smart. The signal can be received by a WiFi-enabled smartphone, tablet, iPad, or Windows laptop computer. It even allows multiple users to connect simultaneously (so your buddy can watch your target as you shoot). There are no wires to string or bulky antennas to set up. The whole system is simple and easy, and weighs just five pounds. The fully weatherproof container is a compact 14″ x 8″ x 10″. Daytime battery life is 12+ hours. Video Camera with night illumination. WiFi Transmitter (with built-in router). Rechargeable lithium-ion battery pack w/charger (12+ hour run time). Target Manager software package for iPhone, iPad, Windows XP, Vista, Windows 7 and 8. Secure, fully weatherproof 14″ x 8″ x 10″ Carrying Case. While we understand the appeal of the dead-simple AmmoCam, we know that many shooters want to go out way past 300 yards. 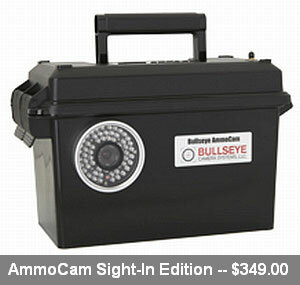 For them, Bullseye Camera Systems offers a 1000-Yard Long Range Edition System, priced at $549.00. This is a complete package which includes video camera, router with high-gain antenna, tripod, carrying case, and all necessary connectors. Bullseye Target Manager software works with iPhone, iPad, Windows XP, Vista, Windows 7 and Windows 8 (and soon Max OSX). Share the post "New Compact $349.00 TargetCam System from Bullseye"
Here’s a simple product that performs a very important function. 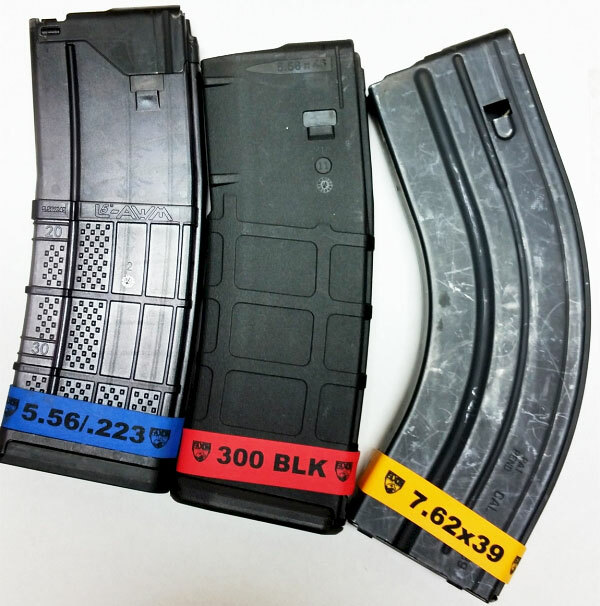 Magazine Marker Bands from Faxon Firearms help you keep track of your AR- and AK-platform mags. 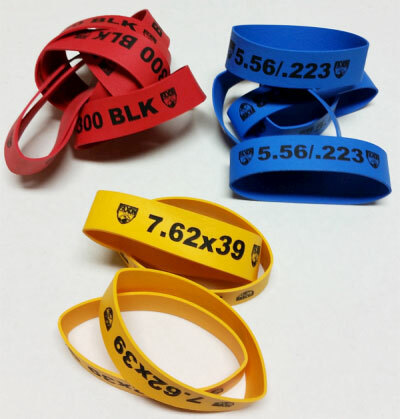 Color-coded and marked with the cartridge type (5.56/.223, 7.62×39, 300 BLK), these bands help ensure you never load the wrong type of ammo into your semi-automatic rifle. Maybe you’re thinking “I’d never make that mistake” but remember Murphy’s law — “Anything that can go wrong, will go wrong.” The consequences of shooting the wrong type of ammunition in a rifle can be dire, if not catastrophic. In addition to the safety benefits, these color bands also help you organize your magazines during transport and storage. If you have a variety of AR uppers in various calibers, it would be sensible to purchase a set of these color-coded bands. Price is $9.99 per set of ten (10) bands of one color (blue 5.56/.223, yellow 7.62×39, or red 300 BLK). Unfortunately, Faxon does not currently offer a “Mix and Match” option. So, if you want all three types, you’ll have to buy three different sets. That’s a bit annoying. We’d like to see a marker band product like this for other types of magazines, including rimfire mags. We’ve seen varminters try to stuff a 17 HMR magazine into a 22LR and vice-versa. We’ve also seen shooters pick up the wrong Detachable Box Magazine (DBM) for their centerfire bolt guns. This can easily happen on a varmint hunt when you have multiple rifles in different calibers (such as .223 Rem and .204 Ruger). Share the post "Magazine Marker Bands — Simple But Effective"